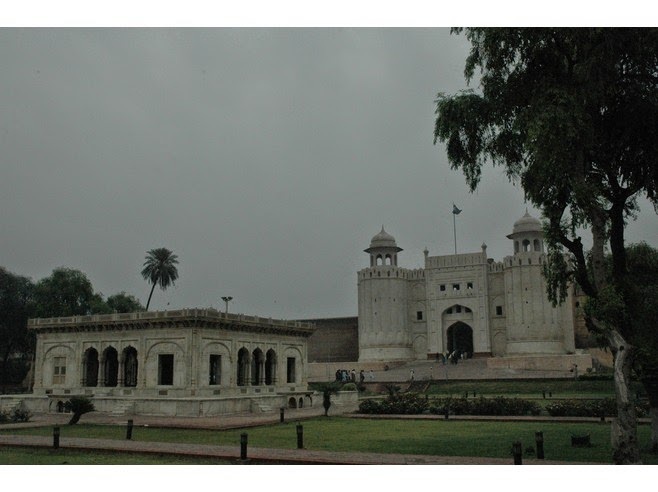 Lahore Fort has two main gates. The entrance used by most visitors today is the Alamgiri gate, facing west towards the Badshahi Mosque, which was built by Aurangzeb in 1674 as a private entrance to the royal quarters. 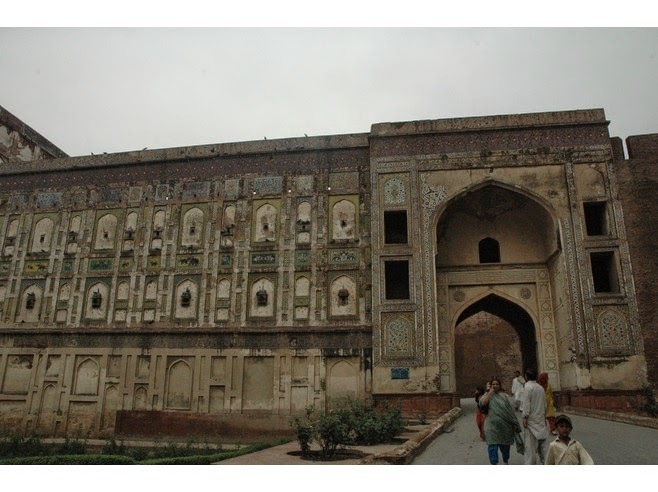 The gate opposite it to the east is the older Masjidi Gate which was built by Emperor Akbar in 1666. The elegant white marble pavilion dominating Shah Jahan's Quadrangle is known as Diwan-i-Khas (Hall of Private Audience), and was probably built by Shah Jahan for receiving guests. However, it is also sometimes referred to as Chotti Khhwabgah or Khwabgah-e-Khurd (Minor Sleeping Chamber), although this name may have been given to it during Sikh rule. Changes were made to the building at this time and during British rule; it was reconstructed during the British period restorations, utilizing the original elements, but it is likely that the roof structure was modified during reconstruction.